Andhra University 3rd Sem Results 2018-2019 : AU Degree 2nd year 1st semester results November 2018 are Announced here for BA, B.Com, BSC Branches. AU Degree 3rd Sem Marks list along with results Name wise released on 21st feb at aucoe.info official website. Stay here to check daily latest updates. Hi Students. Are you waiting for Andhra University 3rd semester results 2017? OK Here we are giving latest information about 2nd year 1st sem results. AU had conducted the 3rd sem exams conducted in the month of Nov 2018. 1 lakh+ people have been attended for the exams across all affiliated degree colleges. Most anticipated situation is 3 months has completed for spot valuation and every one is waiting to check their results. BA, B.com, BSC Results for 3rd sem exam to be out. We can expect the AU degree 3rd sem exam results nov 2018 likely to be release in december as per sources. But we need to wait until get official information from university. Results will be released in the official website and manabadi, schools9, aucoe.info education portals also. 3. THE CANDIDATES OF ANDHRA UNIVERISTY AFFILIATED DEGREE COLLEGES WHO ARE DESIRING OF RE-VALUATION OF THEIR VALUED ANSWER SCRIPTS ARE REQUIRED TO APPLY IN THE PRESCRIBED REVALUATION FORMAT ALONG WITH RE-VALUATION FEES I.E., RS.750/- (RUPEES SEVEN HUNDRED AND FIFTY ONLY)PENALTY IMPOSED FOR CONSIDERING THE REVALUATION APPLICATIONS AFTER THE LAST DATE UPTO ONE WEEK Rs.500/- (FIVE HUNDRED ONLY)/PENALITY IMPOSED FOR CONSIDERING THE REVALUATION APPLICATIONS FOR ONE MORE WEEK Rs.1500/-(ONE THOUSAND FIVE HUNDRED ONLY) PER SUBJECT IN RESPECT OF EACH SCRIPT OF THIRD SEMESTER AND HAND OVER THEM TO THE CONCERNED COLLEGE PRINCIPAL WHERE THEY HAVE STUDIED ON OR BEFORE —-. THE SPECIMEN HAND-WRITING OF THE CANDIDATE SEPARATELY FOR EACH ANSWER SCRIPT TO BE RE-VALUED SHALL BE ENCLOSED TO RE-VALUATION APPLICATION. THE CANDIDATES APPLYING FOR THE RE-VALUATION NEED NOT WAIT FOR THE RE-VALUATION RESULTS AND HAVE TO APPEAR FOR THE NEXT EXAMINATION AS PER THE ELIGIBILITY. 4. ORDERED THAT FOR ISSUING OF PHOTOCOPIES OF ANSWER SCRIPTS AN AMONT OF RS.1000/-(RUPEES ONE THOUSAND ONLY) BE COLLECTED FOR EACH SCRIPT IN CASE OF UG COURSES. THE CANDIDATE BE REQUIRED TO APPLY FOR PHOTOCOPIES OF ANSWER SCRIPTS WITHIN 15 DAYS FROM THE DATE OF PUBLICATION OF RESULTS AND AFTER RECEIVING THE PHOTOCOPY HE /SHE MAY BE PERMITTED TO APPLY FOR REVALUATION WITHIN 5 DAYS IF THE CANDIDATE SO DESIRES. 5. THE RESULTS AND MARKS STATEMENTS/CERTIFICATES ISSUED WIL BE CANCELLED AT ANY TIME IF THE INFORMATION FURNISHED BY THE CANDIDATE IN THE EXAMINATION APPLICATION IS FOUND INCORRECT AND IF HE/SHE HAS BEEN DEBARRED BY THE UNIVERSITY EARLIER AND UNDER THE PERIOD OF RUSTICATION i.e., DEBARRED PERIOD. How to check AU Degree 3rd sem Results 2018-2019 Online? 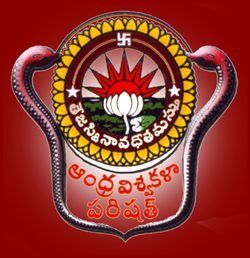 Open Andhra University official website aucoe.info and click on Results Section in Menu Bar. Search for Third semester Degree results 2018. If you find, you can enter roll number for checking results. that’s it. Your pdf marks sheet can be printed for further use. 1.2 How to check AU Degree 3rd sem Results 2018-2019 Online? Valuation very poor because i am getting 1st and 2nd semester Hindi (O) grade.but 3rd semester Hindi fail.